Cremation is an alternative to the traditional burial that is becoming more popular in South Florida. Glick Family Funeral Home is a full service funeral home that is capable of assisting families with all their cremation needs. Cremation services can vary from family to family. Many families choose a simple cremation, but other families also choose to have services along with the cremation. Services can include a memorial service following the cremation for you loved one, or they can include traditional funeral services prior to the cremation process. Whatever the choice is for your family, we are honored to assist your family with professional care and service for both the deceased and the family that we serve. Planning your cremationpre-need or a loved one’s cremation is as personal a journey and as unique asevery life is lived. Whether you’re looking to plan your cremation before youpass, so that your children or spouse will have one less worry when you passaway, or if you have recently lost a loved one, and are looking to plan acremation, the Glick Family Funeral Home offer cremation services in BocaRaton, Florida. We can meet your family’s needs. There are many ways thatfamilies arrange cremation services. What are some of your options? · FuneralServices in Boca Raton, Florida with Viewing, Followed by Cremation. 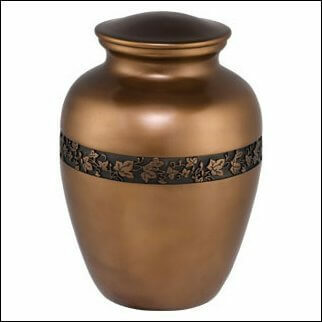 · FuneralServices with Urn, After Cremation Services. · NoFuneral. Simple Cremation Services. The Glick Family Funeral Homeis a funeral home in Boca Raton, Florida that can help you plan your cremationin a way that honors your loved one’s wishes and memory. If you have recentlylost a loved one, this can be one of the toughest times in your life. The GlickFamily Funeral Home offer funeral services in Boca Raton, Florida, and can bewith you every step of the way. Cremation involves theprocess of using fire or heat to transform a body into ashes. After the body istransformed into ashes, the family may scatter the ashes in a place ofsignificance to the loved one, may place the ashes in an urn and bury the ashesin a cemetery, or place the ashes in an urn in a place of the family’schoosing. Cremation as a funeral choice goes back to the Neolithic era, and hasbeen practiced by the Persians, the Romans, and the Hindus, and also in moderntimes. Today, cremation is selected for many reasons. Some families want asimple and cost-effective funeral process. Some enjoy that cremation does notrequire a faith-based service. Others choose cremation and incorporatefaith-based traditions. For example, cremation is sometimes used in Jewishfunerals and in Catholic funerals. Others want to scatter the remains of theirloved ones in a place of significance, and cremation makes this possible.Cremation can also lower the cost of funeral services. Whatever your reasonsfor choosing cremation, the Glick Family Funeral Home provide meaningfulcremation services in Boca Raton, Florida that can honor your loved one. The Glick Family Funeral Homein Boca Raton, Florida offers funeral services and cremation services. We canhelp you plan a memorial service and funeral that will help you remember yourloved one, commemorate his or her life, and gather together with loved ones tosay goodbye. There are as many ways to conduct funeral services as there arefamilies and people. Some families bring in officiants or clergy to lead aservice, while others choose to have family and friends each speak, sharingpoems, readings, and memories. Some play music. Others eat together. Yet,others choose to sit together in quiet contemplation. Others might want to puttogether a collage of photos or create videos to remember a loved one whopassed. Some families want flowers, others ask visitors to bring flowers, andyet others ask family and friends to donate to a charitable cause rather thanprovide flowers. Whatever your funeral needs, the Glick Family Funeral Home inBoca Raton, Florida can assist you with cremation services and can help youwith planning a meaningful funeral for your loved one.